Dr. R. Reed Lessing and Dr. Andrew E. Steinmann have completed a comprehensive isagogics textbook that examines and explores each book of the Old Testament. Dr. Lessing talked to us about how the Old Testament connects to the New, the fascinating world of the prophets, and how the Old points to the New in Christ. In your years at CSL, what were some of the questions you consistently heard students struggling with regarding the Old Testament? Students find it difficult to connect the Old Testament with the New Testament. How does it relate to people’s lives? What are the ways it points to Christ? Are the texts regarding warfare still applicable to Christians today? Prepare the Way of the Lordanswers these questions in lucid and compelling ways. You have written extensively on the OT (e.g., Isaiah, Amos, Jonah). What draws you to these books? Israel’s prophets are a fascinating group. For example, over the course of a sixty-year ministry Isaiah repeatedly predicts his nation’s demise (e.g., Isa 3:1–26; 5:6; 10:1–6), reports seeing God (6:5), calls kings to account (e.g., ch 7), and walks around barefoot and naked for three years (ch 20). Jeremiah buries his underwear and then wears it again (Jer 13:1–11), successfully predicts a false prophet’s death (28:16–17), and dares to flaunt a king’s authority (ch 36). What is more, Hosea marries a prostitute (Hos 1:2), Ezekiel shows no remorse when his wife dies (Ezek 24:16–17), Jonah is swallowed by a great fish (Jonah 1:17), and Zechariah reports bizarre night visions (e.g., Zech 1:8–21). I find great delight in finding how this “goodly fellowship of the prophets” speaks to the Church. 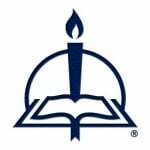 As you transition to a congregation, can you talk about how laypeople would benefit from studying the OT? Paul writes, “For everything that was written in the past was written to teach us, so that through endurance and the encouragement of the Scriptures we might have hope” (Rom 15:4). Israel’s texts are full of great and precious promises, pointing us again and again to the beauty and power of Jesus. And, when we have Jesus, we have all that we need! Dr. Andrew E. Steinmann is Distinguished Professor of Theology and Hebrew at Concordia University Chicago. Read on to see how he believes the book benefits students and why understanding the setting of events in biblical history is important. As a university professor, how do you see this book benefiting college students? 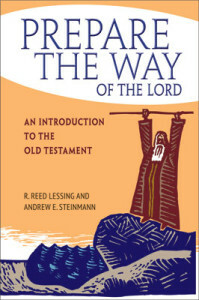 Although designed to introduce seminary students to the basic issues surrounding the study of the Old Testament and each of its books, most chapters include a section that discusses how each book of the Old Testament points to Christ, either through prophecies about him or through themes that anticipate his life, ministry, preaching, death, and resurrection—important context for advanced undergraduate students. Many Old Testament introductions—even those written by Christians—do not address this most important focus of understanding the Old and New Testament Scriptures as the written revelation of God to his people. In addition, Dr. Lessing and I were careful to include discussion of the theories and beliefs of contemporary scholars concerning the composition, content, and historical background of the Old Testament books so that students would be able to understand what scholars are discussing and how to make sense of those discussions. You have written several books about the OT (e.g., Proverbs, Ezra/Nehemiah, Daniel). What draws you to this area of study? This area draws together several interests that make study of God’s Word exciting for me: love of language, and Hebrew language in particular; an abiding interest in history; a desire to see how God's promise to save us from our sins played out in the era before Jesus' incarnation and how the Law and Prophets prepared for Jesus’ life and ministry; and learning about the OT in order to better understand the NT, which makes extensive use of the OT in quotations, references, and themes. You have also done extensive work on Old Testament chronology [link to book]. How important is it to understand not only the issues surrounding the OT but also the time in which they occurred? God worked to save us by breaking into human history, especially in the person of Christ. To understand God's working in history, we need to understand the setting of the events related in the pages of the Bible. That setting includes understanding the times in which they occurred: human culture, geography, politics, and everyday life. Without the ability to locate events in time, we cannot fully understand these other features. Moreover, understanding biblical chronology helps us understand how separate accounts in the biblical narratives relate to one another in time. Finally, understanding biblical chronology helps us see the full expanse of God's patient but constant commitment to his people and their eternal welfare through his Son.